Oh my God, what a marvellus place the Locanda Pantanello in Pitigliano! I honestly don’t know if I can describe it properly to you. In all the different places I felt good. Each one had its wonderful pros. Every owner treated us with friendliness and took good care of us. But here we felt at home, as if we were part of a family. This was an experience I would suggest to everyone. Locanda Pantanello is a restored traditional 1700 stone farmhouse, located 10 minutes (by car) South-East of Pitigliano. It was convenient both to visit Pitigliano and to explore the surrounding area. That day we visited the burg of Montemerano plus the Saturnia thermal baths (soon on the blog!). Each room has the name of a different flower: Orchidea (Orchid), Ciclamino (Cyclamen), Viola (Pansy), Rosa (Rose) and Primula (Primrose). Do you know that in the Orchidea room stayed David Gilmour? Beware: if you’re used to have the bidet at home, there’s one room that is without bidet. I think it was the Primula room, so you’re warned! I stayed in the Ciclamino room. The décor was simple, not at all gaudy (which I hate). I like country style. But it must be simple and harmonious. And that was it! The bathroom was proper and, although it was small, there was a comfy shower and enough space to put all my stuff. The most important aspects were the extreme cleanliness and the… mosquito net on the window, so that we could sleep undisturbed with the open window. Wi-fi worked well. The place at night was extremely quiet so we slept like babies. The garden was luxuriant and rich in Mediterranean scents: basil, sage, rosemary, all perfumes I love. The swimming pool was the perfect place to relax and it also had a convenient feature: a telescopic awning which allows guests to use the pool in the evening. And also from March to October, so for a longer period than average. It was pleasant to enter in the pool and find that the water was rather warm, thanks to the screen effect of the awning. Brilliant! For families: you’ll also find a swind and a ping-pong table. Plus kids have a chance to see the animals: horses, sheep and I think there’s also a pig but sadly I didn’t meet him (I prefer to use him). For cyclists: the Locanda provides you with services such as bike deposit, wash area, tools for maintenance, laundry. In fact there was a couple from Germany with their bikes. Breakfast: say yes to ricotta! 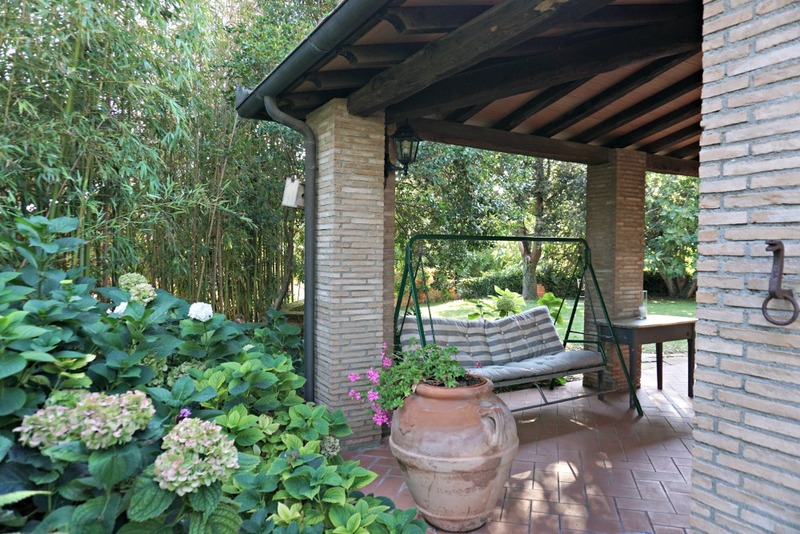 We had the pleasure to have breakfast all’aperto (al fresco), under the garden porch. We had fresh figs from their tree, fresh ricotta cheese with bread and home made chocolate cake and jam. The ricotta was so good I almost finished it! 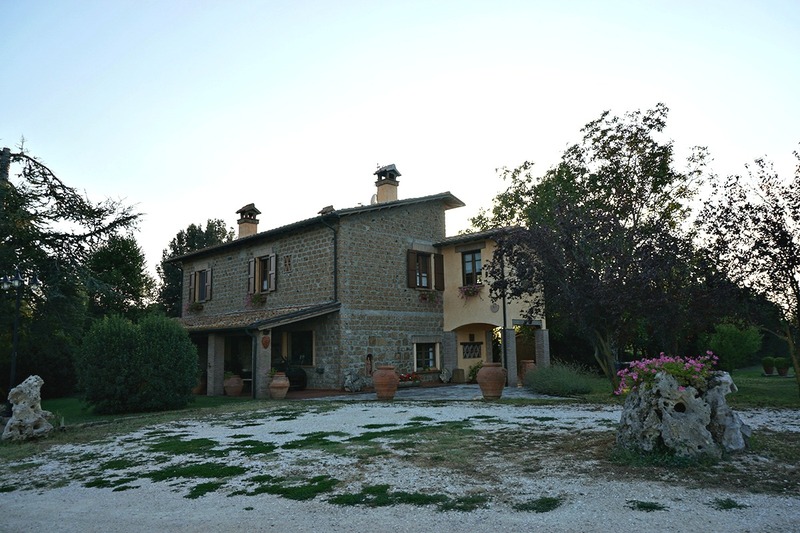 Locanda Pantanello in Pitigliano is surrounded by woods and fields. For those interested it is possible to join a “night safari” with the owner. After dinner, on board of his jeep, you will explore the the unspoilt area in search of wild boars, roe deers, foxes, weasels, porcupines and night birds. Hospitality was the keyword here. Everyone did their utmost to please the guests and make them feel welcome. I was so sad when we had to leave them! I can only recommend this unique Tuscan gem. Un grande grazie a Morena and Francesca. Ci avete fatti sentire davvero a casa! Thanks to Locanda Pantanello for supporting me on my visit to. As always opinions are entirely my own.